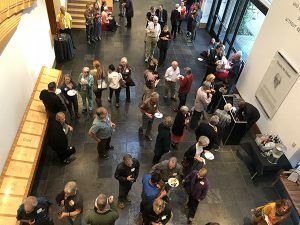 On October 11th we celebrated with about 100 of the Center’s supporting partners at the Charles Schulz Museum. 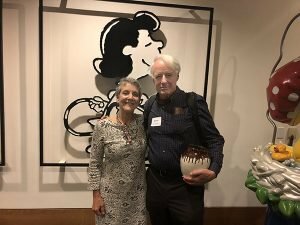 After refreshments, mingling, and a welcome from Jeannie Schulz, Adam Hochschild, author of Bury the Chains gave an inspiring talk about the movement that abolished slavery in the British Empire. Abolishing slavery seemed impossible at the time, just as solving the climate crisis and ending the reign of fossil fuels seems impossible now. Because guests loved this gathering so much, we are organizing another. A unique speaker (we can’t say who yet) will address the flaw in perception at the root of the climate crisis, and will provide guests with an experience that reorients their view of themselves and their power. Seating for this special event is limited to 100 guests, and will be offered to those who donate a minimum of $200 toward our match or become a sustainer at $20 or more per month. What about those of us who can’t afford the fee of admission but who are dedicated climate change supporters and would like to attend , support and get further educated ,? Is there a place for us as well ? Kristen, thank you for asking and yes! We schedule a variety of gatherings throughout the year for our supporters, with some free events in the mix. we will keep you apprised when events come up.